With the 2nd Generation Intel Xeon Scalable launch, Dell EMC, the world’s largest server vendor, made a few announcements. 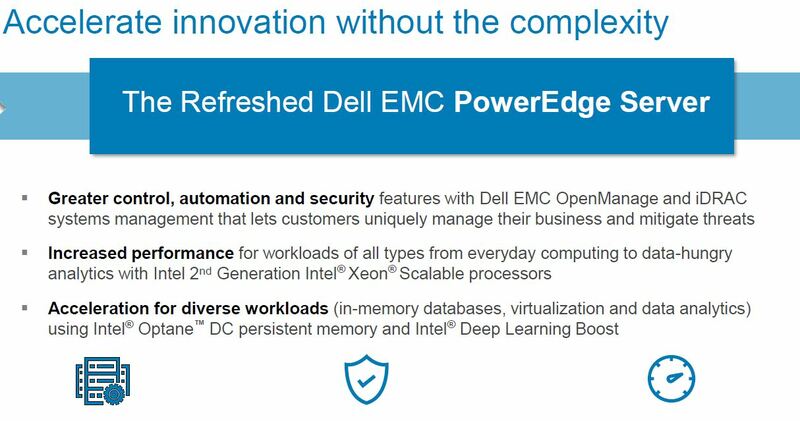 As one would expect, the Dell EMC PowerEdge is getting a “Cascade Lake” generation refresh with 2nd generation Intel Xeon Scalable processors. The company is highlighting more than CPU refreshes and is instead focusing on its management and security upgrades. 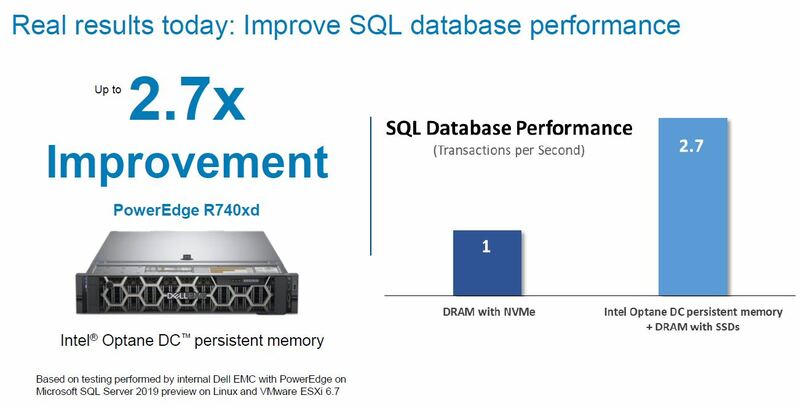 Here is the overview of what Dell EMC PowerEdge adds with its April 2019 release. On the security side, OpenManage Secure Enterprise Key Manager centralizes key management. Dell EMC recognizes that local key management can help if a drive is removed from an edge server. However, if the entire edge server is compromised, that scheme does not help. Centralized key management is seen as a must-have edge server feature in the future. 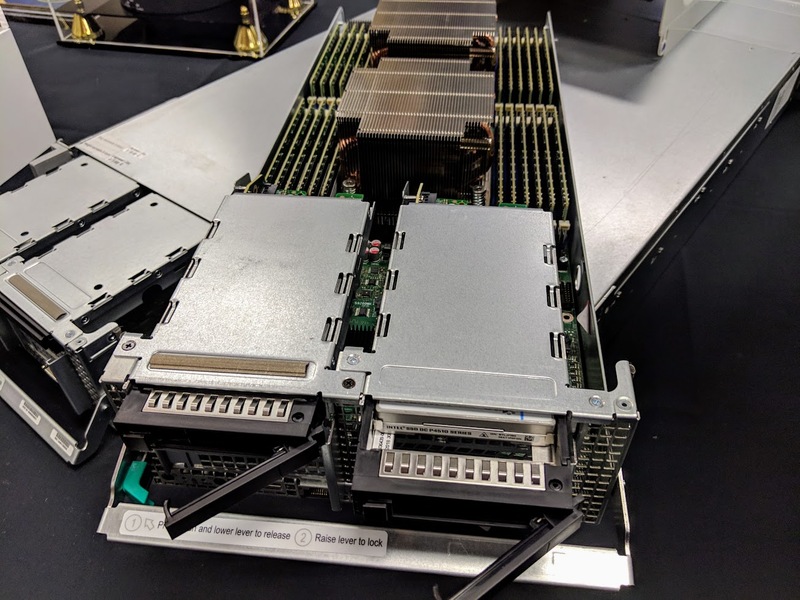 On the augmented reality side, with the Dell EMC PowerEdge MX one can now use augmented reality to see what is failing in a server to help local servicing. We have not seen it, but it sounds intriguing. If we see it in action, we will report back on it. OpenManage FlexSelect allows new OpenManage features to be added in a licensed plug-in fashion. The power management FlexSelect is the first available and is for customers who need power management to control power at the rack and data center level. As we showed in our Second Generation Intel Xeon Scalable SKU List and Value Analysis the new generation of Intel Xeon CPUs adds more cores and more clock speed, especially in the high-volume CPU segments. In our testing, we have seen gains upwards of 35% at the same price levels in some segments. That is one of the biggest generational performance increases in years. 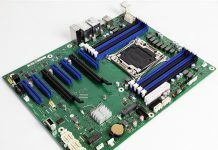 As we covered at their launch, these CPUs also have speculative execution security hardware mitigations as well. 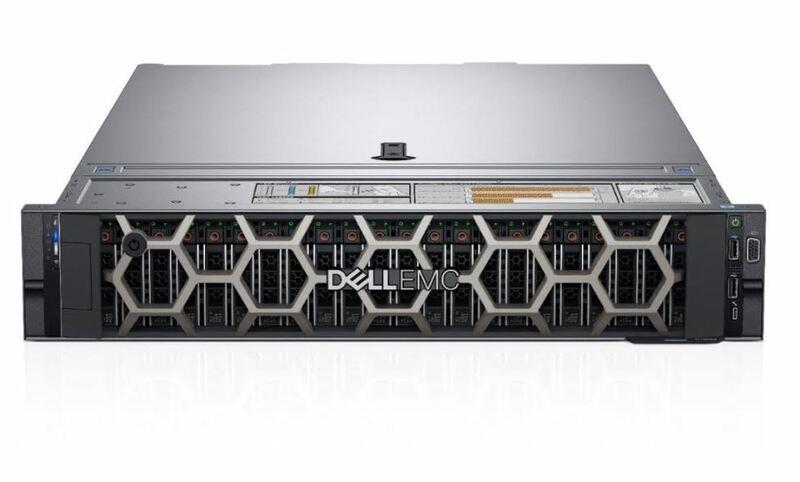 If you want to learn more about the server, you can read our Dell EMC PowerEdge R740xd review. One area that we are going to note with a lot of vendors is that Dell EMC is not launching an Intel Xeon Platinum 9200 series PowerEdge today. To us, this makes a lot of sense and is certainly an industry theme from the event with most vendors not launching platforms. 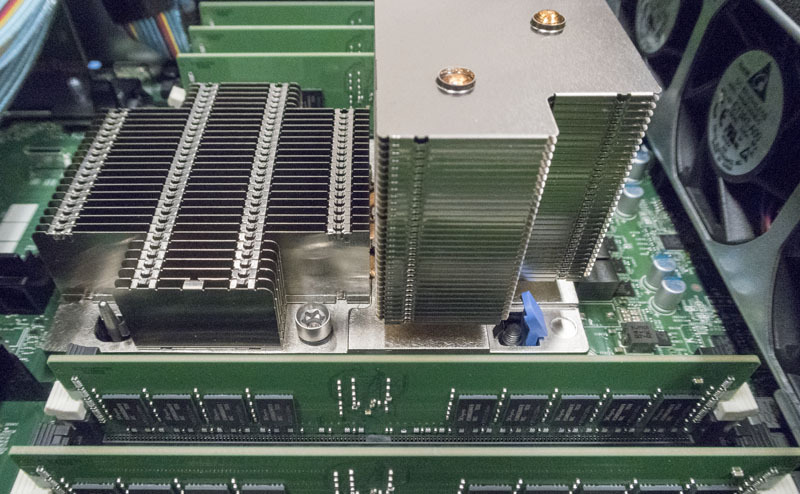 You can read our piece Intel Xeon Platinum 9200 Formerly Cascade Lake-AP Launched where we explain how Intel is selling its flagship CPUs in a manner that is unfriendly to server vendors. 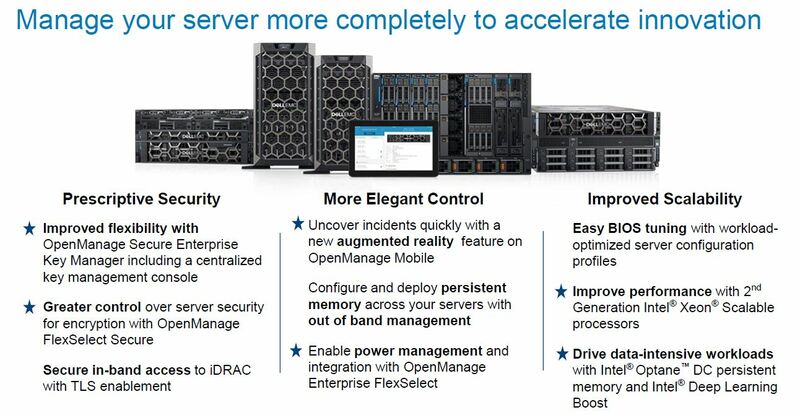 With expected shipping dates around April 16, 2019, customers will get more features and more performance with the new PowerEdge updates.